After Hiroshima, we spent 2 days and 1 night in Kurashiki. It is a small town that has an old historic canal district, called Kurashiki Bikan (Aestheric Area). We felt that 2 days was a good amount of time to explore this historic and quaint city. This museum was the highlight of my trip. It is a great place for visual inspiration. The cost to get in is around $4 USD and it's totally worth it for the marvels you will see. The Rural Toy Museum had over 5 rooms of vintage toys that ranged from daruma to handpainted kites to carved karp (fish) on wheels. The bold colors and the workmanship was so impressive. Our airbnb host suggested this locale and it did not disappoint. This store has curated items from Scandavian designers. 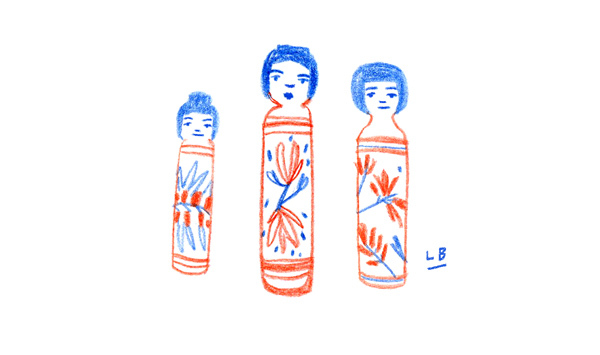 There are numerous textiles, washi tapes, and art supplies. Since there was a large tape selection here, I bought a lot of it. Hehe. Kurashiki is the home to MT Tape, so you will find tons of washi tape here! Kurashiki is near a town called Kojima, where they are known for their denim. 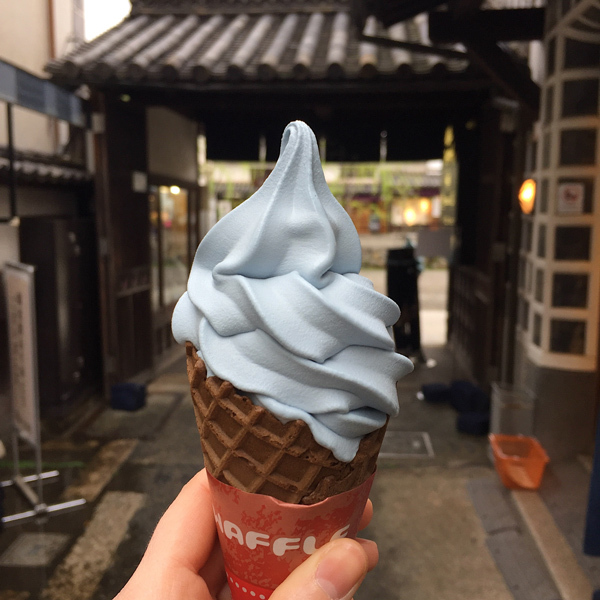 Lots of places in Kurashiki sell denim inspired items, like this 'denim' icecream. Don't be thrown off, it has a blueberry flavor! Try some denim inspired food when you're there!